The Source Article Competition was a success! More than 380 contributors signed up before the deadline for submissions on March 24, 2018. 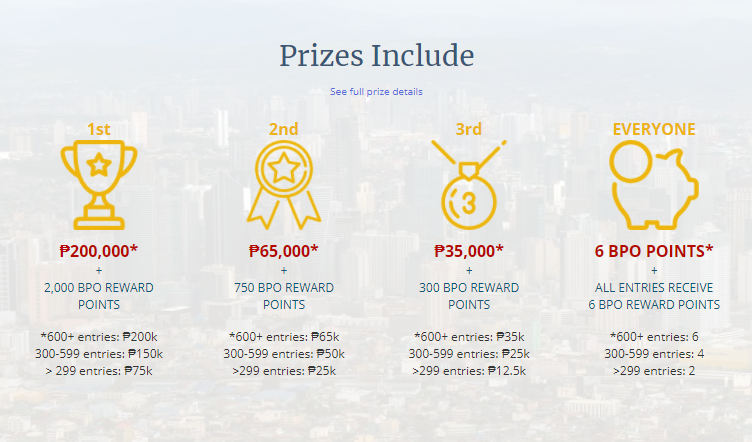 The 75 entries that were submitted for the competition provided compelling arguments, supporting facts, and entertaining stories that presented the Philippines as the outsourcing capital of the world. Well done, and congratulations to the winners! Missed the deadline? 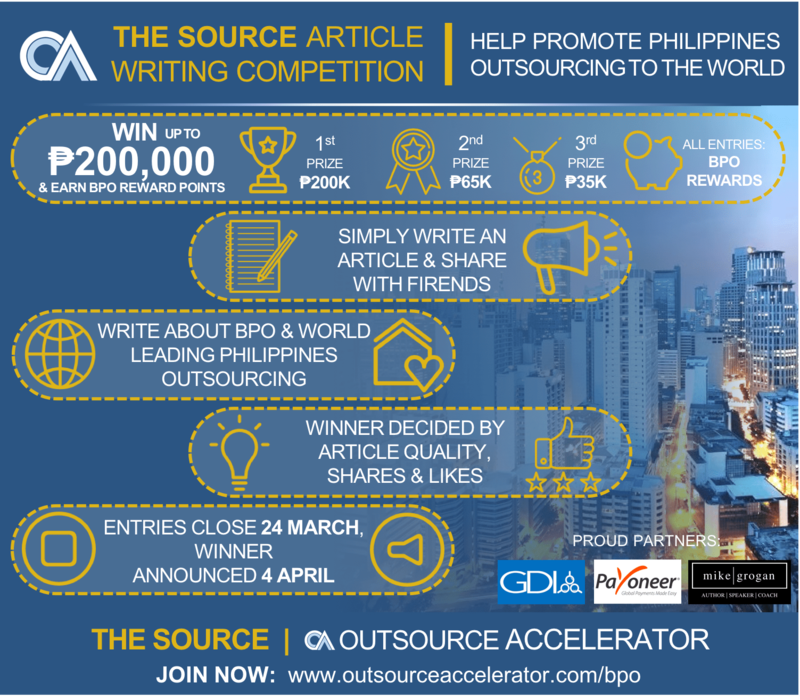 You can still show your support to the Philippine outsourcing industry by submitting your article to The Source for publishing. You can find out about our submission guidelines here. 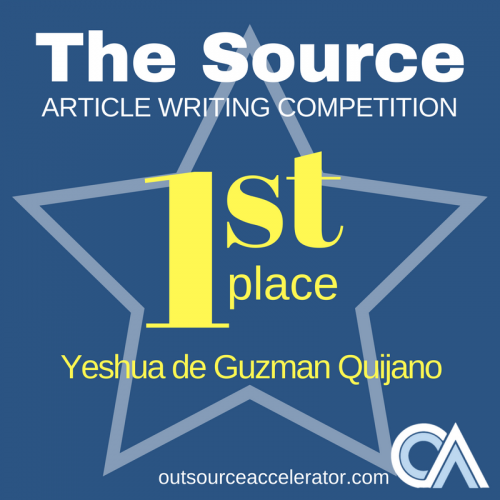 Outsource Accelerator awarded the winning article to Yeshua Quijano. Yeshua wrote, Outsourcing in the Philippines: Your Definitive Guide. It’s a really high-quality article offering the readers good prescriptive insight and advice for their outsourcing journey in The Philippines. He highlights key reasons for choosing Philippines, including the language and cultural fit; provides a comparison with Indian outsourcing, and offers some good general tips and tricks. The article was about 2,000 words in length, had nearly 200 page views, 122 unique visitors, and over 400 shares. 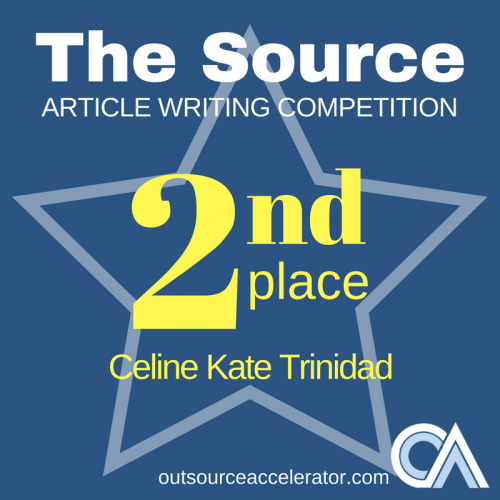 Coming in at second place is Celine Kate Trinidad’s entry Philippine Outsourcing – The Undisputed Powerhouse of Foreign Businesses in Achieving Remarkable Milestones. In this article, she explains in detail why outsourcing makes sense as a business concept and why the Philippines is an excellent choice for it. Celine stresses the value proposition of moving operations to the country and cites several examples of how it’s being done successfully. She also provides tips on how a Western enterprise can set up in the Philippines and extract maximum value from their operational dollars. The article had 2,134 page views with around 804 unique visits. 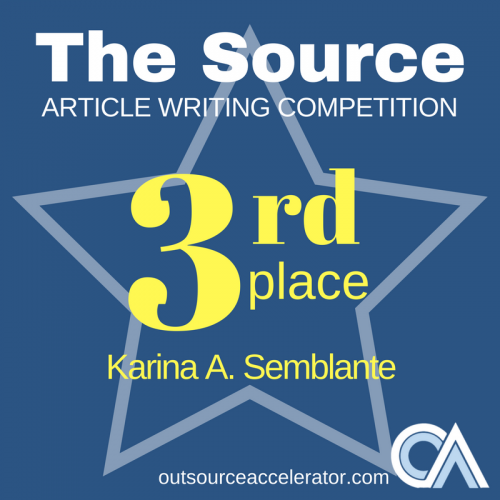 With clever headlines, substantial arguments, and proven tips on outsourcing in the Philippines, Kei Semblante takes third place honors in our contest. In her contribution titled Why Successful Companies Outsource in the Philippines, our favorite section has to be the part where she shares tips on how to find an ideal outsourcing company in the country. Having been in this industry for a long time, we can attest that not all outsourcing companies are built equal. Finding a good, qualified partner makes all the difference between a prosperous working relationship and a feeling of being burned. This article received 31 shares on social media, 64 page views and 31 unique visits. Warren Walborn takes a big-picture look at outsourcing and explains how it truly impacts the US economy. Using facts and logic, the author dispels the myth that outsourcing hurts the American labor force. He also makes an excellent case on how the United States government can stimulate economic growth by encouraging outsourcing rather than painting it in a bad light. This comprehensive discussion is more than 2,000 words long. It garnered 59 page views and 44 unique visits. In his article Business Outsourcing: Leveraging Your Way to Financial Success, Jaycee de Guzman discusses why it’s advantageous for entrepreneurs to consider outsourcing some of their business processes. 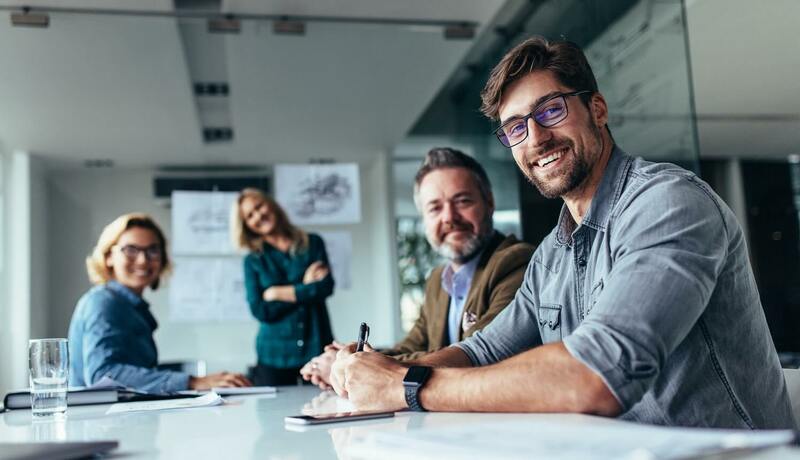 The article provides tips on how outsourcing should be done and where entrepreneurs can seek help in order to ensure the success of their business venture. The article has over 1,500 words and 237 page views, 107 of which are unique page views, and over 58 shares. Article: What Makes the Philippines the Best Outsourcing Destination? The article What Makes the Philippines the Best Outsourcing Destination? by Djulia Montana de Veyra looks back on the history of outsourcing in the Philippines and discusses in detail the benefits that investors can enjoy by choosing the country as an outsourcing destination. Djulia highlights how the government continues to develop infrastructures and offers incentives to encourage investors to see the country as an ideal base of operations. Over 1,000 words in length, the article has been viewed 245 times and shared more than 60 times. In his article You’re Wrong: What REALLY Happens When You Outsource to the Philippines, Mikael Francisco looks back on his first foray in the outsourcing industry while working at StraightArrow Corporation, a creative process outsourcing company based in Manila. Using a light-hearted tone, Mikael details how BPO companies based in the Philippines leave no stone unturned in order to provide excellent services and products that fit the needs and preferences of their clients. This 1,090-word article has over 598 views, 496 of which are unique page views, and an astounding 27,500+ shares. Kate Lebumfacil relates how she started out in the BPO industry in the article Small Fish in a Big Pond. Here she looks back on how, fresh out of college, she and her colleagues mastered the art of speaking, learned leadership skills, and went out of their comfort zone to develop their potential. As she faced the challenges in her chosen career, Kate also witnessed how the BPO industry in the Philippines evolved over the years. This article has over 8,585 page views and 1,846 unique views. Company: iPresence Digital Marketing, Inc.
Jaycee de Guzman emphasizes the importance of work-life balance and how it can be achieved through outsourcing in his article May the Source Be with You: Philippine Home-Based Outsourcing 101. Here, he goes into detail as to how the Philippines has a pool of skilled professionals and how home-based work can help employees and employers from around the globe enhance productivity and build a career or business without sacrificing their personal time. This comprehensive article is made up of over 1,745 words. It has been shared more than 3,000 times and has 725 page views. Look no further than Celine Kate Trinidad’s article, Filipino Outsourcing: The Formula for Trailblazing Your Business Acumen, to find out why it’s beneficial to outsource some of your business processes to the Philippines. Celine doesn’t shy away from numbers and presents a detailed list of qualities that make the country an ideal choice for investors and entrepreneurs who want to expand their business and improve their productivity. This article has been viewed by over 1,500 readers. The real winner is… Philippines’ outsourcing!! Congratulations to all the winners. Excited about writing an article? Don’t wait for the next competition – you can submit an article anytime!! Here’s more information on getting your article published. If you want to publish your own article now, simply sign in, update your profile, and get writing. Get started now!